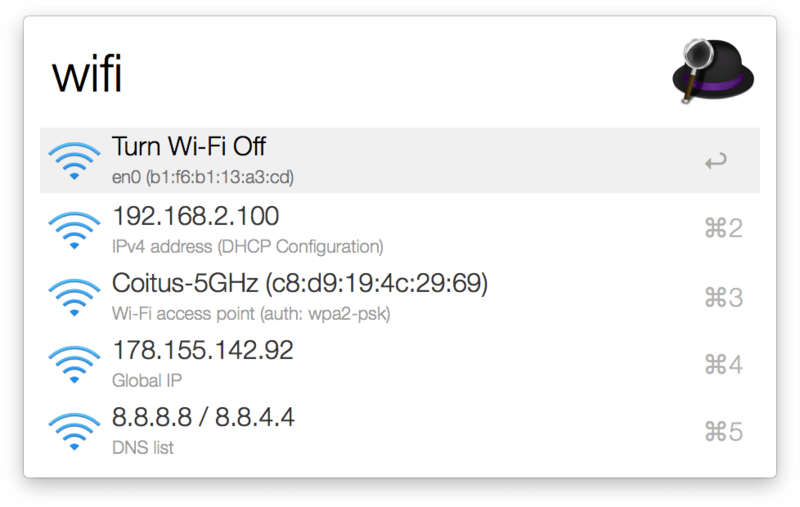 Alfred workflow that can show and change your network settings: Wi-Fi, Ethernet, VPN, DNS, etc. This is a collection of the functionalities of already existing network-oriented workflows that I found half-baked or stalled. Improved on performance, usability and details. Type wifi to show Wi-Fi info and enable/disable. Type eth to show ethernet info (if connected). 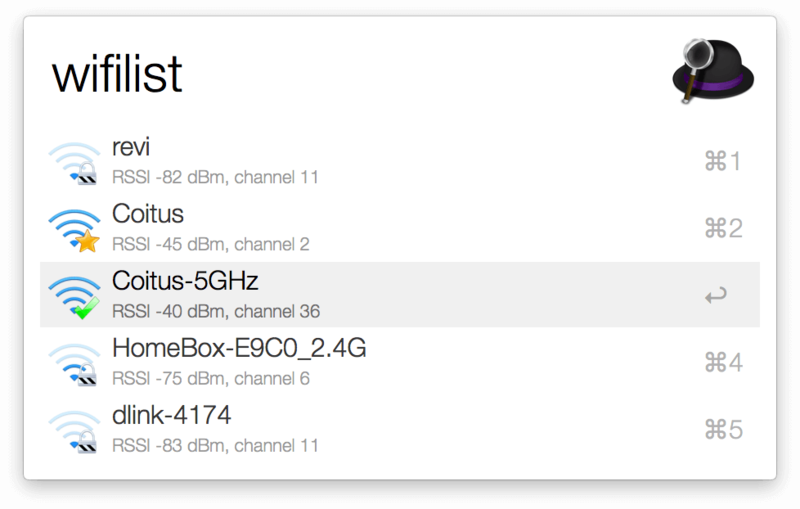 Type wifilist to scan for Wi-Fi hotspots. Type vpn to list configured VPNs and connect. Type dns to list and change DNS settings. Requires Alfred 3 and Powerpack for installing this extension. Might behave differently on macOS versions older than 10.7 Lion. This workflow is primarily implemented in Bash with a little help from AppleScript. bats is used for automatic testing of Bash functionality. Install with brew install bats using brew. Contributions, bug reports and feature requests are very welcome.